These are early days yet in the Canadian election. Despite the unusual length of the campaign (eleven weeks instead of the traditional 37 days) which benefits the ruling party, the scribes and their various media organizations have been calling for an end to nine years of Conservative government. It may yet happen. 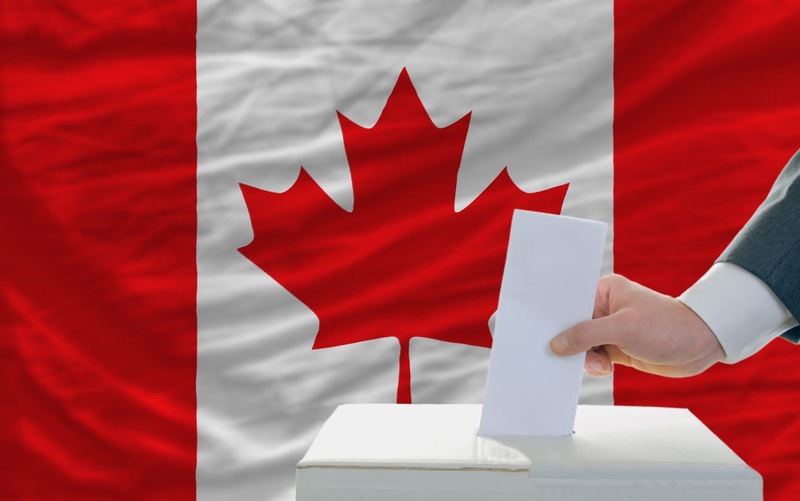 The polls show a majority of voters says they are fed up with the Harper government. Elite and legacy news organizations are filling the dog-days of journalism with op-eds denouncing the various and dubious practices of the government. The capstone is the Duffy Trial now on display in Ottawa. For non-Canadians who may have missed this episode, it involves one Mike Duffy, a Tory-appointed Senator (yes, Senators are appointed by the government of the day for services rendered. One wag once described the Senate as "the taskless thanks."). Duffy has been charged with 31 instances of fraud and breach-of-trust in his expense claims. Although the amounts are measly by American standards (about Can$90,000, or US$69,000), the growing implication is that this amount was hush money to get Duffy and his questionable housing allowance out of sight of Parliament and the media. (Full disclosure: in the 1980s, I was a TV producer at the CBC's Ottawa bureau and I worked with Mike who I always found to be charming and a pleasure to work with. He also didn't mind if we called him "The Senator" as befitted his aspirations, even back then. We thought it was a joke. Apparently, the joke was on us...). Polls say the Duffy trial is now having an impact on voter intention. As the details emerge about how many people in the Prime Minister's Office (PMO) knew about Duffy's financial problems and the willingness of Prime Minister Harper's Chief of Staff to pay the amount out of his own pocket, the public appears to be souring on the Harper government. The Prime Minister claims that he was never informed about this payment, which seems unlikely given the Harper's micro-managerial tendencies. The media are having a lovely summer with this story and are reporting that the polls show the end of the Tories is nigh. That may as well be. But I tend to a certain skepticism about the polls for a number of reasons. First, the polls have been less than stellar of late. They have missed the mark on a number of issues, even as polling companies claim to a higher level of astuteness and accuracy. 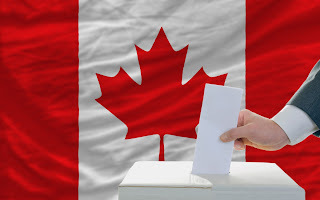 The polls failed to predict the UK election, the Israeli election, and closer to home, the recent elections in British Columbia and Alberta. Media organizations still insist of reporting polls for a number of reasons: first, they are an easy news story that in these times of diminishing newsroom resources, a polling story is great to fill the yawning news holes. Especially if you don't have the reporting horses to go out of the newsroom. Polls are too often, the enablers of poor journalistic practices. (At NPR, I once suggested at the morning editorial meeting prior to the 1998 midterms, that we stop reporting polls for the week before the vote. The reaction was overwhelming: "But what will be have to talk about?" said one horrified host). Second, I'm increasingly convinced that the pollsters are insufficiently skeptical of the answers they are getting. Anecdotally, I am told that people like to lie when they are contacted by polling companies, especially when the poll is not conducted by a live person on the end of the phone line. Third, even as the Conservatives look less and less appealing, people are unwilling to openly state their continued support for the ruling party. There is a bandwagon effect and voters want to appear to be on the side that's winning, even if it's not their choice. Finally, journalists like to talk amongst themselves and tend to reinforce their own thinking, often without giving sufficient pause to the "what if we're wrong" scenario. The coverage in Canada (and in the US) is making me nervous. I sense that journalists are (once again) going down a rabbit hole that appeals to them personally, but ill-serves the public. What's missing is some real reporting outside the confines of the campaigns. And the cozy confines of the Mike Duffy trial.